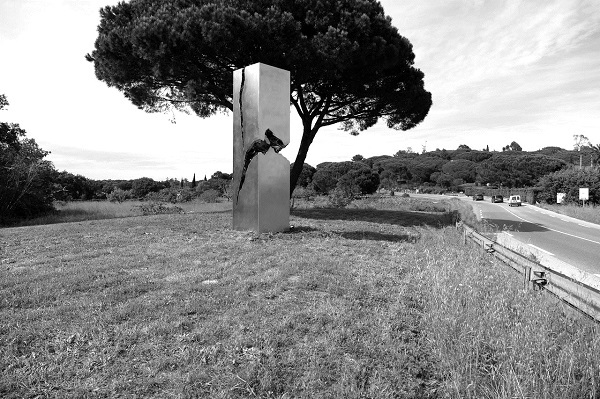 The beautiful town of Saint Tropez is synonymous with art, with some of the region’s most talented artists and art collectors setting up in this stunning part of the world. Indeed, there are literally dozens of first rate art galleries and workshops within a short driving distance of our portfolio of Saint Tropez villas. 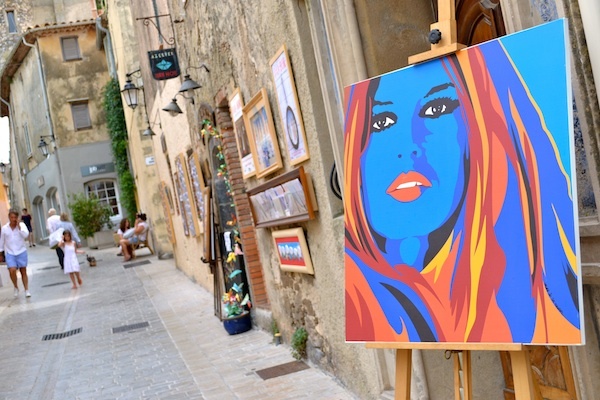 But where should you head if you are planning on a flying visit to Saint Tropez and fancy a fill of local art without having the time to do the rounds? This is the largest art gallery in Saint-Tropez, with a total surface area of 160 square metres situated in Boulevard Louis Blanc, a hop and a skip from our central St Tropez House properties to rent. Here you will find works of some of today’s greatest modern artists, such as sculptures by Armand, Cesar or pieces by contemporary legend Damien Hirst. Local artist Henri Sié has been based in the Saint Tropez for the last four decades and opened his gallery in 1987 in the rue du Clocher. It’s hard to miss the turquoise blue double-storey gallery which offers those passing a glimpse of what to expect inside. Henri Sié’s paintings are bursting with colour and are largely based on the theme of the region: typical Saint Tropez scenery, buildings and landscapes. Only open during the summer, this impressive ‘pop-up’ gallery owned by Daniel Besseiche is filled with a stunning collection of contemporary art including Picasso, Miro, Vasarely and Dufy. It is one of seven galleries that the collector owns across the world, including two in France. The other French gallery is in Dinard, Brittany. Another interesting fact about this gallery is that it is open until 11pm in the summer evenings. It might be hard to find any well-known pieces of art in this gallery on Boulevard d’Aumale as Jean-Pierre Botella (aka jpb) prides himself on giving exposure to unknown talent. For example, industrial welder turned sculptor Patrice Racois has a permanent display of his metal sculptures in the garden after impressing jpb. Notably inside the gallery are uniquely designed furniture pieces by Marseille-based Rolland Mellan and wildlife sculptures by Brazilian-born sculptor Mozart Guerra. No list of the St Tropez art galleries would be complete without the Musée de l’Annonciade. This small but impressive gallery, celebrating its 60th anniversary this year, is said to be one of the top museums for modern art in France. Pop in to the museum in rue George Clemenceau and marvel at works of art by Paul Signac, Matisse, Derain and Cross to name but a few. If you want to discover the galleries in the center of St Tropez the coming summer, staying at the one of our villas in the center of St Tropez will be an excellent choice.